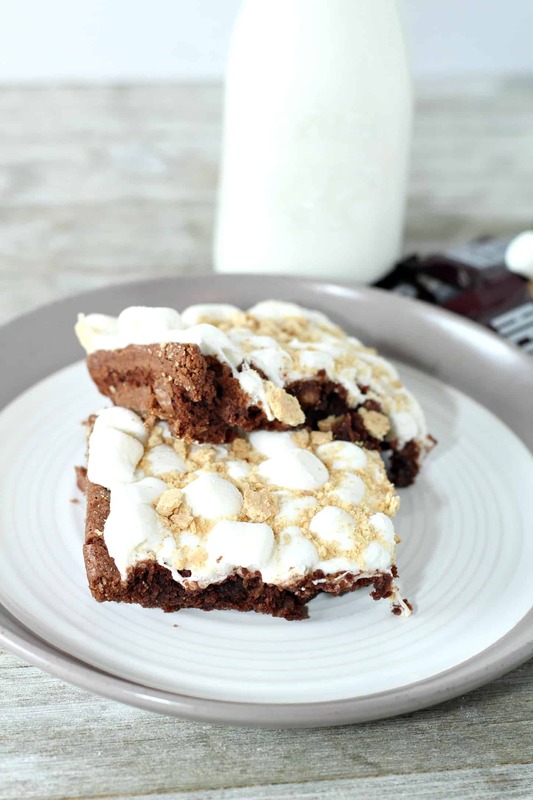 This Smores Cake is the best smores dessert, with the perfect combination of ooey, gooey chocolatey goodness. 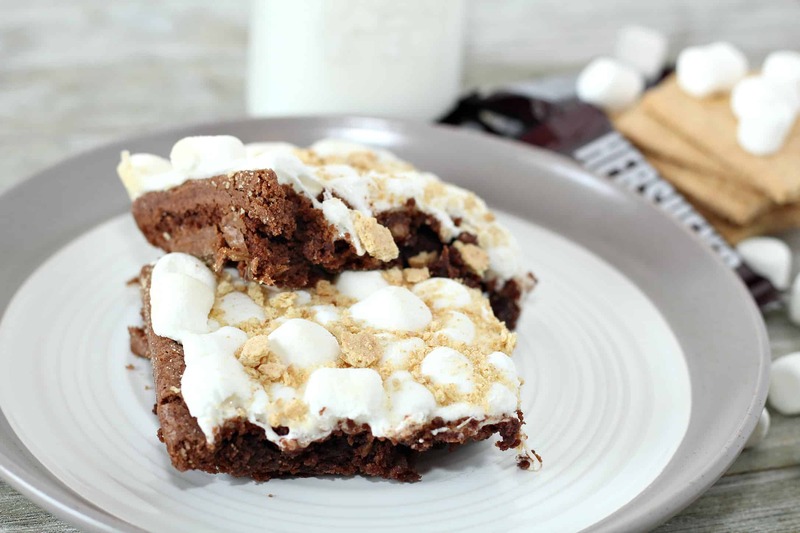 It makes the perfect smores treat when you don’t have a campfire nearby or don’t want to deal with all the sticky mess of little ones roasting marshmallows to make their own smore’s. I have to admit that as much as I love eating S’mores, I don’t love the messiness of them. I’m always looking for fun ways to enjoy s’mores like this S’mores Cup Recipe I shared a while back. 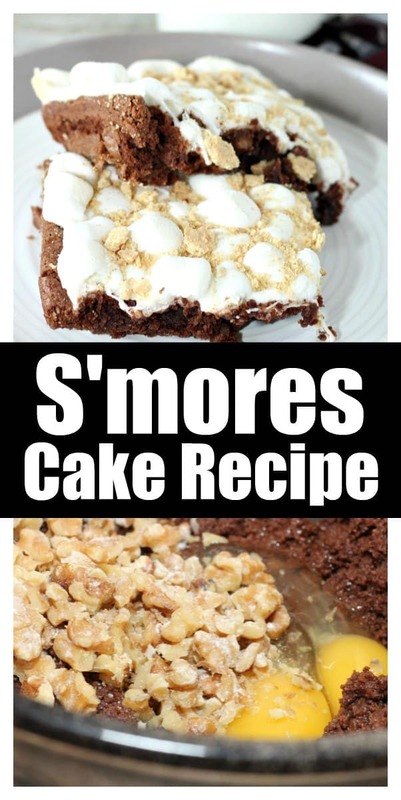 That’s why I love this Smores Cake recipe, because you can eat it on a plate with a fork. I plan to make up a big batch of this to bring to our family camping trip this year! You could choose any kinds of chopped nuts that you prefer. I like walnuts the best, so that is what I choose whenever I can! 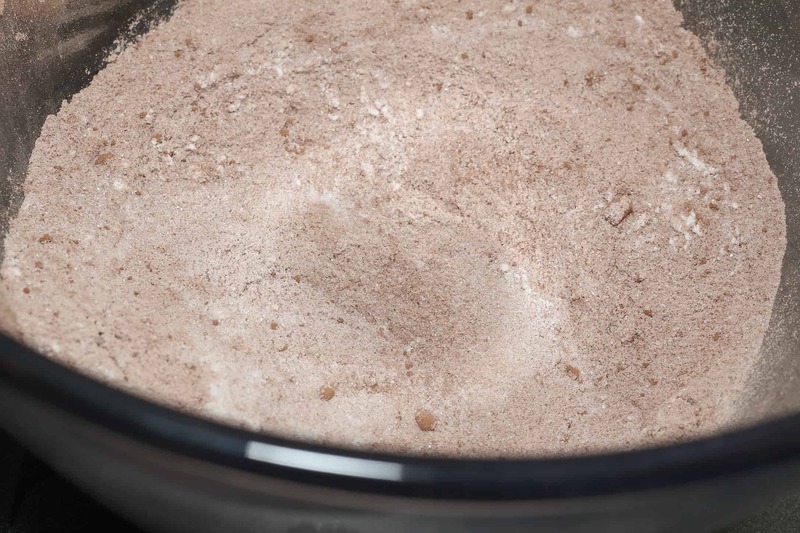 Mix together all dry ingredients in a large mixing bowl . 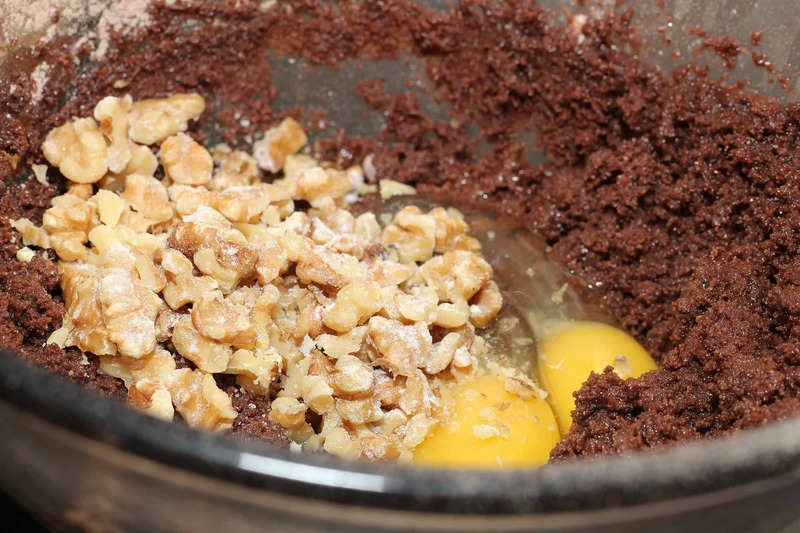 Add in butter, eggs, vanilla and nuts. 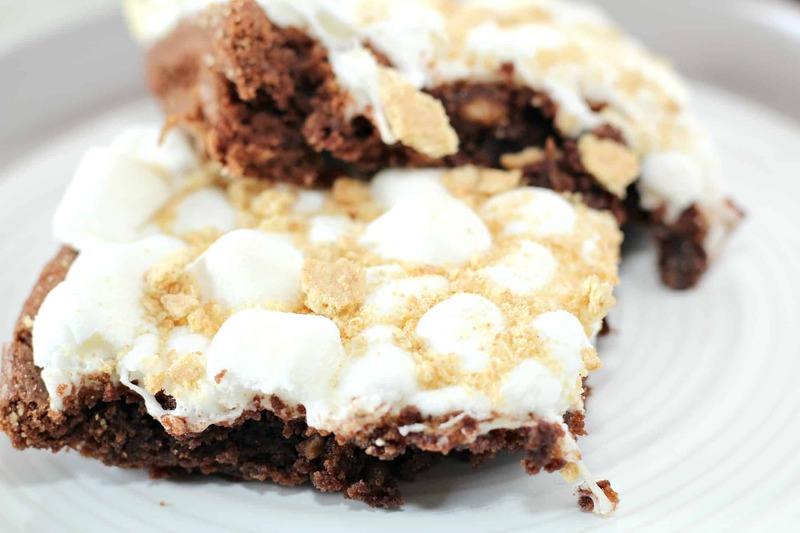 Remove from oven and add marshmallows on top and sprinkle with graham cracker crumbs.